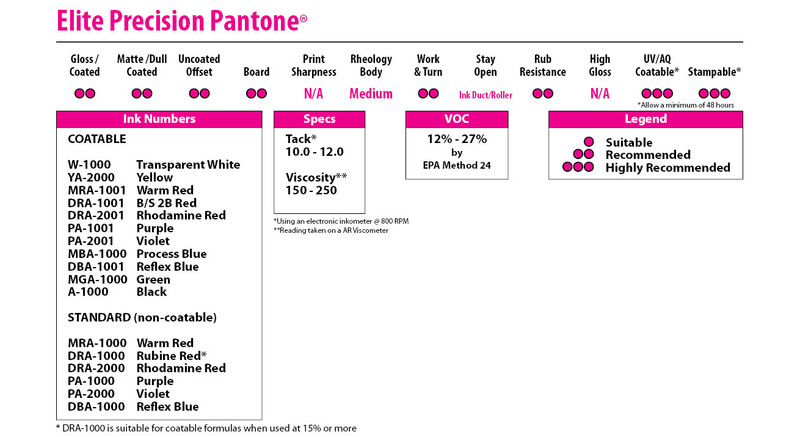 Elite Precision Pantone® was created using state-of-the-art pigment and resin technologies. Elite Precision Pantone® was created using state-of-the-art pigment and resin technologies, with the fewest additives and raw ingredients possible. These formulas are also available coatable, as noted below. Elite Precision Pantone® bases are approved for both shade and strength on a yearly basis and have been formulated to provide stay open properties for up to 30 days in the can with exceptional rub resistance and consistent color from batch to batch. Superior’s Precision Color Mixing System makes in-house ink mixing dependable and easy. It is a unique approach to ink mixing. Everything required to operate a successful in-house ink mixing operation is included. The core of the system is Superior’s own set of Precision formulas. 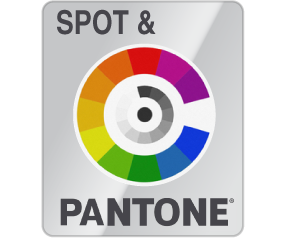 Each Precision formula has been fine tuned to the Pantone® guide using the exact same high quality Precision mixing inks we offer to you. This innovative combination has given Precision users a level of accuracy previously unobtainable through in-house ink mixing.